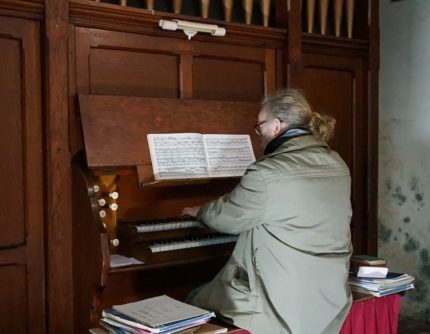 Organist Steve Tyrrell plays J S Bach at Lanteglos Church, Camelford (PL32 9YS). If you haven’t heard Steve play – come and be amazed. If you have heard him play – you know that you are in for a treat! The programme will be a mix of the familiar and the unfamiliar works of Bach. The acoustics of the building and its beauty in candle light will add to the whole experience. The church was already ancient when Bach was composing.